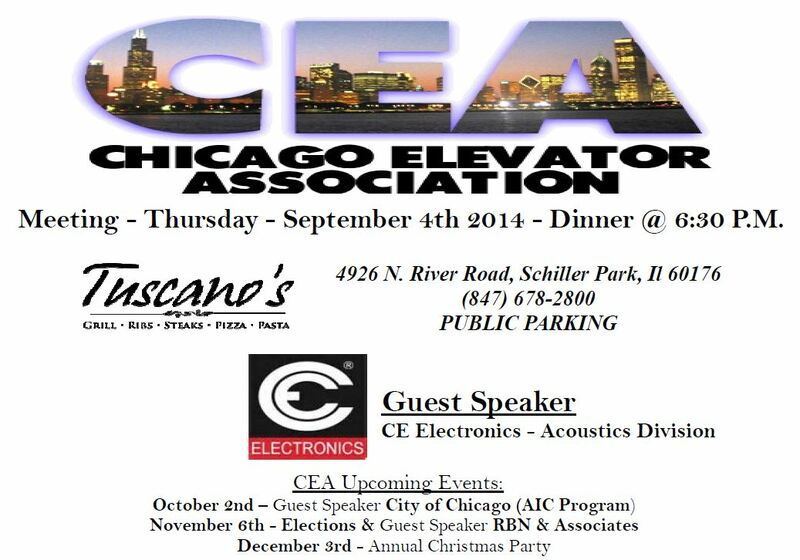 Come join us as the Chicago Elevator Association kicks off its round of meetings after our summer break. Have noise issues with your elevator? Come learn how CE Electronics – Acoustics Division is helping make loud equipment quieter. Thank you CEA Golf Outing Sponsors! Enjoy the month of August everyone. September kicks off our monthly meetings once again. Mark your calendar for September 4th where we’ll meet at Tuscano’s in Schiller Park. 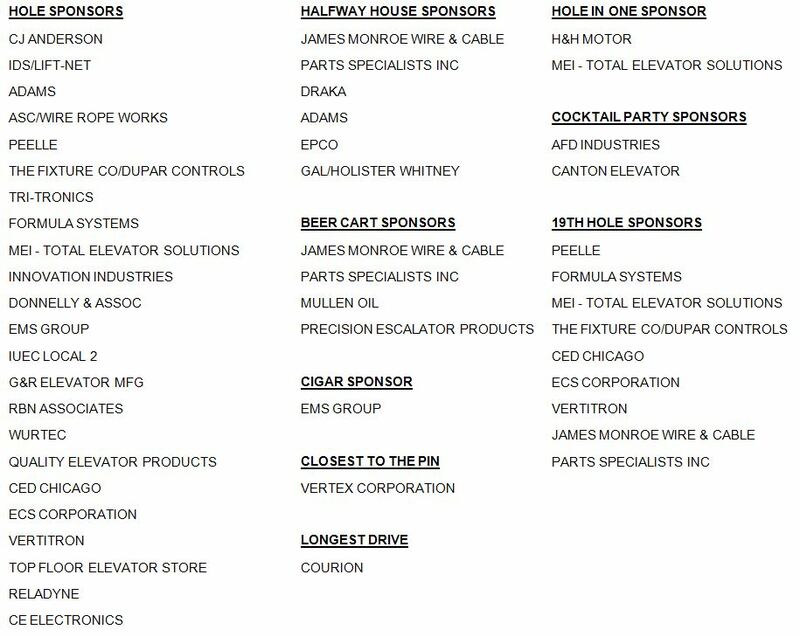 CE Electronics Acoustics will be presenting on mitigating noise from elevator equipment.